Dunes is the first book in over a decade to incorporate the latest research in this active and fast-developing field. 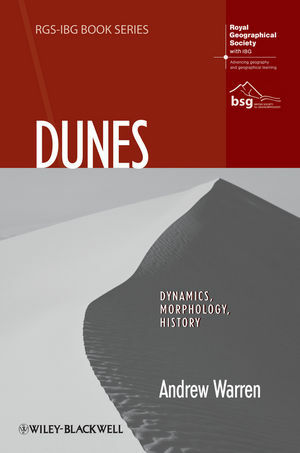 It discusses the shapes, sizes, patterns, distribution, history and care of wind-blown dunes, and covers all aspects of dunes, terrestrial and in the Solar System. Andrew Warren is Emeritus Professor of Geography, University College London where he has taught since 1964. He previously worked as soil surveyor in Pakistan with Hunting Technical Services limited, and in 2000, he was awarded the King Carl XVI Gustaf's Professorship in Environmental Science at the Royal Swedish Academy of Sciences, University of Lund.